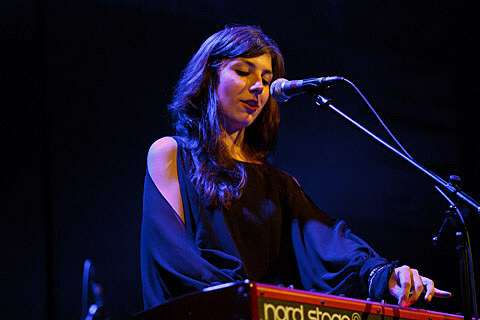 Julia Holter has a few live dates coming up this spring and summer, including previously discussed NYC dates on April 25 at BAM for day 1 of the Crossing Brooklyn Ferry festival with The Roots, Parquet Courts, Solange, David Longstreth, TV on the Radio, Phosphorescent and others (4/25 tix and 3-day festival passes); and May 1 at Brooklyn Masonic Temple for the Night of Improvised Round Robin Duets as part of the Red Bull Music Academy NYC residency with Andrew Bird, Questlove, Kim Gordon, James Chance, Thundercat, Andrew WK, and many others (sold out). Julia has since added another NYC date which happens on July 12 at Le Poisson Rouge before she plays Pitchfork Music Festival. Tickets for that show are on sale now. All of her dates are listed, along with a stream of the 15-minute opening track from the digital re-release of her 2010 album, Celebration, below. Support at the LPR show comes from Jessica Pratt, who, like Julia Holter, owes much to the loner folk of cult legends like Linda Perhacs. 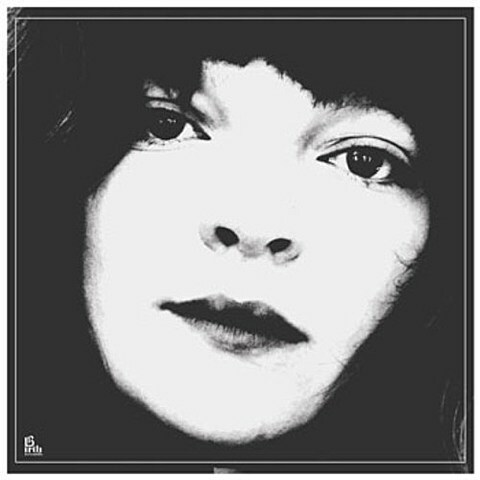 But while Julia brings in Laurie Anderson-esque art pop sensibilities and some modern home recording techniques, Jessica Pratt, more similarly to Angel Olsen, is interested in actually sounding like she recorded in the early ’70s. Her 2012 self titled record is a raw, bare-bones release (much like Olsen’s Half Way Home from that same year), and a really gorgeous listen for anyone seeking Linda Perhacs, Sibylle Baier, or Vashti Bunyan’s influence in modern music. Stream the track “Night Faces” below, and if you like what you hear, there’s also a Spotify widget of the full album embedded. Jessica Pratt has also been added as an opener to Father John Misty‘s tour with Adam Green & Binki Shapiro, including the NYC-area show on May 17 at Maxwell’s (sold out). And after that run, she’ll play another show at Le Poisson Rouge on June 2 as a support act for the previously discussed Grouper show at that venue. Raajmahal is on that bill too and tickets are still available. That show happens after both Grouper and Jessica Pratt play Chaos in Tejas.